Don’t skip an inspection just because the house is new. 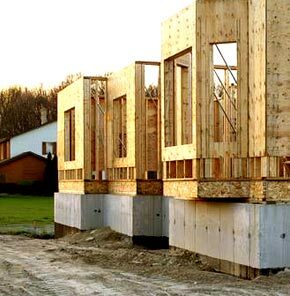 New homes can have defects even though there were just built. A new homebuyer can greatly benefit from using a professional home inspector during the construction and completion of their new home. Most people assume that the contractor and sub-contractors are overseen by state or local government officials and that the local town or city building inspector checks the house out. This is true to some degree, however, few if any municipal inspectors spend anywhere near enough time in the home to fully check it out. Further, there could be problems with the home that are not necessarily code violations, yet have serious consequences for the new home owner.